This is the last day of our Vietnam trip. Gosh! I find it hard to say goodbye to a lovely vacation. And so, me and hubby decided to make the most of our last few holiday hours in Vietnam. Our day was greeted by these beautiful views of Nha Trang. Ahhh!! What a sight. From the distance you can catch a glimpse of VinPearl Island. We we're suppose to go there on the third day of our Vietnam trip however time is very limited. 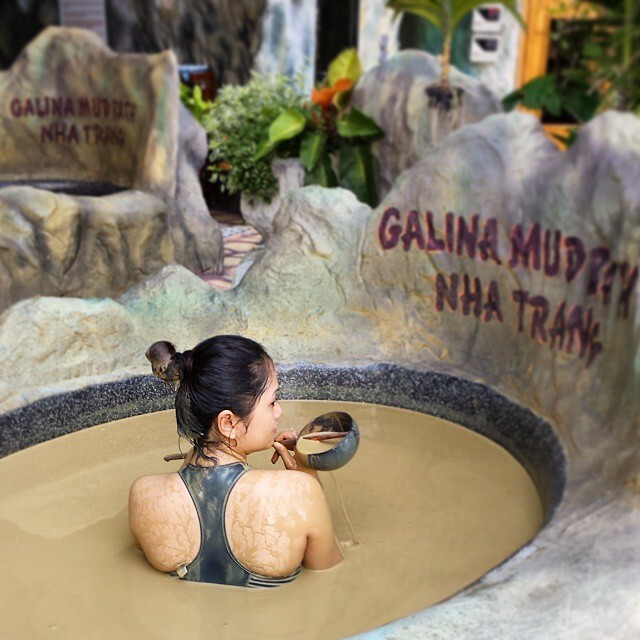 So in the morning I did the mineral mud bath instead at Galina Hotel and Spa which cost me 249,000 VND. To know more about my mud bath experience read my previous post titled My Galina Mud Bath and Spa Experience. After hotel checkout, we went to have lunch at Louisiane Brewhouse. From the hotel, Prime Hotel Nha Trang, we've decided to walk to the brewhouse via the beach walkway. Check out the city and beach views below. It was a hot noonday but then it's not a sweaty walk at all since the gentle breeze coming from the sea offsets the heat from the sun. Now time to relax and have a good lunch. Lousiane Brewhouse has it's own private beach, swimming pool and a brewery among others. For lunch, we've spent 350,000 VND good for 2 persons. To read more about Lousiane Brewhouse check out my previous post titled Now Brewing! Lousiane Brewhouse. It's now time to say our goodbyes. I hate goodbyes. Nha Trang is beautiful and I'm happy that we've decided to come by and check out this beautiful city facing the majestic seas. Do check out my post: Vietnam Travel Itinerary for more tips and inspirations.